Do you have a big goal or dream that keeps sneaking away from you? Maybe you feel like you are constantly taking two steps forward and two steps back? Perhaps your story goes a bit like this…..
You start off well, making big plans and commitments and loving your idea. But somewhere along the line, this little voice of doubt creeps in and takes over. You start over analysing every little detail. Worrying that you can’t make it happen after all. Talking yourself of the things you know deep down you really want to do. Before you know it that exciting idea you had feels totally overwhelming and you STOP taking action. You find yourself back at the beginning again. This cycle can be so frustrating! All you really want is to feel like you are making consistent progress…. With the right support, you can! Assess your current situation in detail. Redefine your goals and focus. What do you want to change and why? Put in place personalised strategies to overcome fears and resistance that keeps stopping your progress. Boost your motivation whilst putting your well-being at the centre using the power of visualisation. Create an action plan to start you moving forward towards your goals one step at a time. 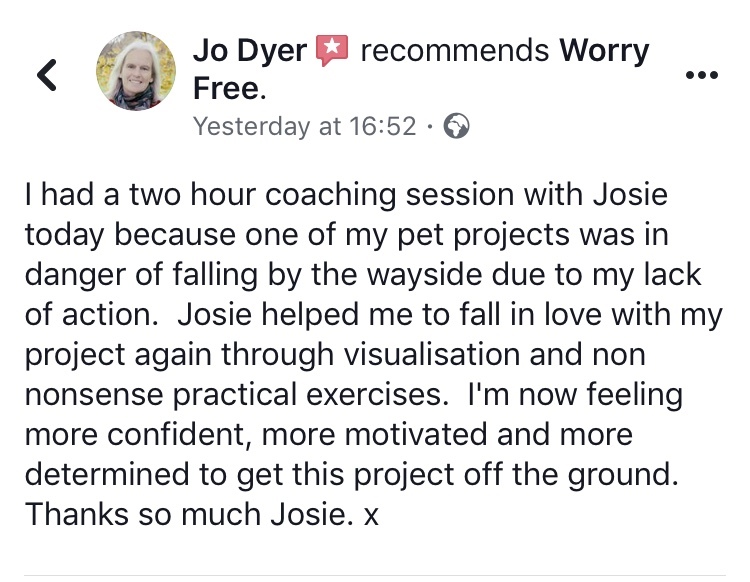 This session also includes a 30 min follow up call 2 weeks later to keep you on track, where you can book in for follow up sessions and a hypnosis audio track to use at home. Sessions can either be held in person in Salisbury or online in the comfort of your own home via zoom video link. Pop your name on the waiting list and I will get back to you as soon as a space becomes available. I look forward to helping you leave behind overthinking and attack your goals.